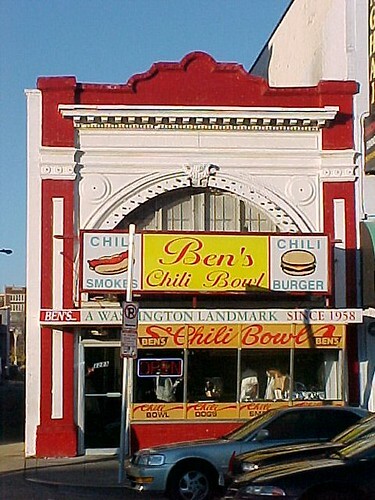 Ben's Chili Bowl's property tax increase inspired Bill 16-555. Second photo by Michael Williamson, Washington Post. First photo from the restaurant website. Bill 16-555, provides for tax relief for what one might call heritage businesses in the District of Columbia. Testimony from the Office of Tax and Revenue said that fewer than 70 businesses would qualify, based on the way the law is written--providing benefits to owner-occupied businesses having held the property for 20 or more years. Interestingly enough, the Director of Operations for the Office of Tax and Revenue, Michael Braman, said twice that their assessment methodology just looks at how much the building is worth if for sale, it does not look at the use of the building. Councilmembers, in response to the various testimonies said that this was an initiative that they want to undertake, and recognize that the bill needs work. Lisa Burcham, ex-director of the Historic Preservation Office, and now the chair of the DC Preservation League Government Affairs Committee (hmm? ), spoke in favor, but called for a task force of interested stakeholders to look more deeply at the issues and produce a bill that works. I talked with some people afterwards, and now I'm gonna do some research to see if and how this is handled elsewhere, and maybe we'll do a rewrite of the legislation and submit it as well. I don't know what this says, but Germany's HypoVereinsbank is a major participant in financing the construction of office builidngs in DC's Central Business District. So is Bovis Lend Lease out of Australia. And many others. I will start taking photos of some of the signs in front of developments to illustrate this furher. I think there is justification to separate out in a property tax assessment methodology the kinds of buildings typical in neighborhood commercial districts, which still for the most part are locally owned (although not fully true, some of the largest national real estate investment trusts are buying properties all around the city, from Connecticut Avenue in Dupont Circle--Starwood--to H Street NE--Pacific Realty Investment Trust), from the types of buildings, typically in the Central Business District, that comprise the "portfolio" of this national-international real estate market. Thank you Councilmembers for the opportunity to speak to you today as a representative of the Citizens Planning Coalition. I am active in a wide variety of urban revitalization activities around the city, ranging from historic preservation to public transportation advocacy and cultural heritage tourism matters. The common thread that ties together my activities is based on the fact that the competitive advantages possessed by the District of Columbia are centered around architecture, history, urban (not suburban) design friendly to multiple transportation modes, and uniqueness. Independent retail in neighborhood commercial districts is, or should be, one of the elements that contributes to the City’s competitive advantages. A bill like 16-555 is important, but its focus on properties that have been owned by one proprietor for 20 years is overly limited. The intent is admirable, but the policy prescription should be one with broader reach and impact. 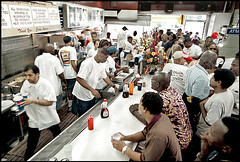 Ben's Chili bowl has good hot dogs and milk shakes, but this issue is far more important than a single, even if renowned, business. GWU photo. The fundamental problem addressed by Bill 16-555 is the fact that small commercial buildings in the city are being assessed in a manner that is leading to undesirable displacement of long time owners. This occurs because the property tax assessment methodology appears to be divorced from the revenue basis of such properties. building. It is a problem in how neighborhood commercial districts are assessed in general, and it is this issue to which City Council attention should be addressed. Bill 16-555 should be rewritten to address these broader conditions and concerns. One of the biggest problems we face in revitalizing our neighborhood commercial districts is the fact that because Washington is a strong real estate market, the property owners of even marginal properties in marginal areas demand high rents, generally $35 or more per square foot. In my travels, I am always chagrined to discover that the prevailing rents in some of the nation’s most thriving non-downtown commercial districts–Nob Hill or the Hawthorne District in Portland, South Street in Philadelphia, or Carytown in Richmond–are far less than rates in too often not-thriving commercial districts in DC, places like H Street NE or Anacostia. 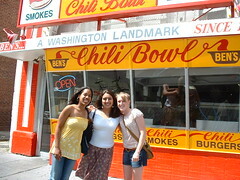 I know that the experience of the proprietors of Ben’s Chili Bowl informed the conditions that led to the creation of proposed Bill 16-555. Here’s another example. Last year, the Takoma Theater received a property tax assessment triple the previous. The building is taxed as if it could be converted into condos, even though its form is intimately connected with its use (CVS may disagree). The owner, a playwright!, stopped working with the local community group managing the theater, and talked about tearing the building down for condos–because he feels crushed by the tax burden. A playwright, wanting to tear down a theater! Clearly, the property tax assessment methodologies for such properties is out of whack. It is essential that the property tax assessment methodology for properties in neighborhood commercial districts be based on factors relevant to the small footprint buildings extant in these districts: (1) with a few exceptions, the small footprint buildings typical of neighborhood commercial districts do not appeal to national chains (such businesses are likely to generate higher sales and can pay higher rents); and (2) most spaces are not likely to generate more than $200/square foot in revenue, so that there are real ceilings on the gross profitability of these commercial spaces, both for tenants and for the property owner. A property tax assessment methodology based on some mythical highest and best use, especially one oriented to the fact that office buildings always generate the most property tax revenue at the least cost in municipal services, is going to price out independent businesses and independent property owners, because it is based on the forces that have recreated the local real estate market into one that has become dominated by national and international tenants, developers, and property owners. 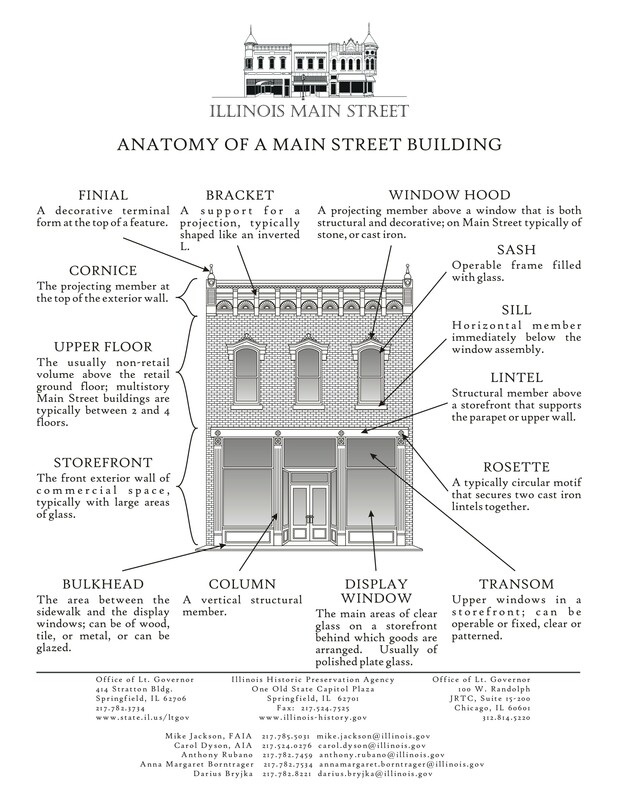 In fact, I tend to recommend that the provisions of a bill such as this should be applied to all of the commercial districts across the city eligible for historic designation, whether or not they are in fact designated currently. However, I think it is reasonable to restrict such benefits to historic districts because this will encourage property owners in non-designated areas to bring about the designation of their commercial districts. It is essential that the District of Columbia develop a better set of strategies and programs for developing a thriving independent retail sector in the city. Focusing some attention to how such properties are assessed for property tax purposes is a key element in a comprehensive approach. I hope that you will consider the rewriting of Bill 16-555 to address the fundamental issues that I have discussed before you today. Should the market for office buildings like this dictate the "exchange value" of buildings housing independent retail businesses? Photo © by Alan Goldstein, from the Natural Resources Defense Council website.